Goddess Lakshmi is considered as the lord of the wealth while kubera or kuberan who is called so is considered to be the richest person among the devas.It is considered that Lord Balaji who is also known as Venkatachalapathy borrowed money from kubera to perform his marriage. By performing Lakshmi kubera puja, one can not only get rid of his financial difficulty but can also create surplus wealth.One can also chant the mantras of mahalakshmi daily to get unlimited wealth. 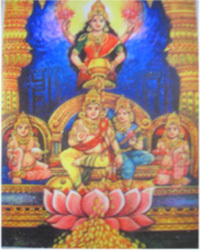 The online pooja for Lakshmi kubera can be performed on your behalf.